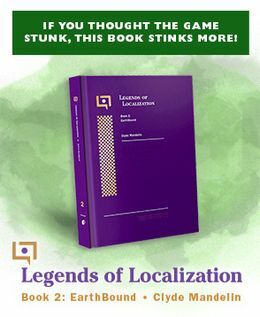 Back while I was working on the MOTHER 3 translation, I frequented Japanese sites a lot and one thing I noticed in a few places was a report of a strange bug. Apparently, if you save with the frog in the playroom area of Thunder Tower and then quit, there’s a chance you might get stuck if you load your game. I tried to make it happen a few times but without any success. Even so, after we released the translation patch, I started to get reports of this happening to people. I’d like to know more about this, so if anyone has more detailed info, please let me know. Apparently what happens is that you wind up in a spot between the wall and the frog, and the frog won’t move out of the way, so you’re pretty much screwed. I can’t tell what exact spot this happens at though, but given all the reports from Japanese and non-Japanese players, I don’t doubt this is real. I’d like to know more about it so I can possibly fix it in a future patch, or at least give a warning and tell people how to specifically keep it from happening. UPDATE: Oh, I found a video of it in action! Hopefully you’re replaying it sometimes at least? Don’t worry mato. Not everyone rushed through the game. It took me a few months to finish it the first time. Mainly because every now and then, I’d get stuck on an annoying boss (most notably the Steel Mechorilla and the Barrier Trio GRRRRR!!!) and stop playing for few weeks. I’m already on a second play through and I’m hoping to catch all the lines and things that I may of missed the first time around. (Like some of the stuff on the part where you get hopped up on mushrooms. I talked to all of the characters but I only opened one trash can and only looked in one mailbox) I really loved the Mother 3 translation and I’d also love to see how the Mother 1 + 2 translation would turn out if you and Jeffman ever decide to finish that up. Worth it. So, so worth it. Oh yeah, the Barrier Trio can bite me. I took a few weeks getting through Mother 3, I believe. I used the speed button, but only very occasionally — basically I used it to speed through the oxygen machine animation after I’d already seen it about a jillion times. It was funny at first, but, man, it does get old. And it’s long. I took a few (4) days from my vaccation time to play through it when it first came out (the Fan Translation). I’m glad I’m not the only one who did that (rayfrenzy) 🙂 It took about 27 hours for me, so I played a LOT in those 4 days. I wouldn’t consider that to be rushing though. I explored and didn’t use the speed button. For the patch, it took me about three days. I used this particular frog but never had any problems. I replayed it twice after that. :3 It was spectacular. Oh well, what more can you expect from a frog that belongs to Porky? Yeah, I made sure I didn’t even accidentally hit the turbo button. I died a couple times and never used save-states… I savored every hour that I spent on this wonderful game… I want to hug you Mato… You are a great man. Thanks for the link to my video. This glitch ticked me off so badly that I don’t think I played again for a couple weeks. I have since beaten the game, but I was very careful when I returned to this room and used both save slots carefully. Mato, it took about a week. Some scenes were very, very touching. Some were way creepy. But you did a very good job. I spent well over 40 hours! My parents thought I had died, since I would stay up all night playing. Then again, I wonder if glitches would even occur using a GBA or DS. Is there a walk throuh walls code for Mother 3, and would it help in this situation? Something EVEN MORE WEIRDER happened to me. I believe I was fighting, pressing the space bar the WHOLE TIME (that’ll speed up the game and all), and when I lost and continued, I ended up in Leder’s house, but not only that, I WAS ON THE WALL. I couldn’t do anything about it, so I gave up. Was this fixed in the 1.1 patch? Wow. I did not mean for that comment to look angry. That Save Frog is EVIL!!! Well, i’ve completed it one time in it’s original un-translated version with save-states,one time with the translation and save_states and one time with the translation without anything that isn’t included in the game, so original save.Too good…I’ve restarted the game many times at that point to beat the robot that guards the friend’s yoyo,and i never had that glitch. oh yeah, and about the game. I haven’t really started on it yet, but when i do, I’ll try to fill the battle memory. Just wondering, but can you play gba games on ds emulators? is it just me, or is lucas farting on king tut? well i got stuck, should i just restart my game? There might be a walk through walls code but I don’t know what it is. So I reached that spot again on my recent playthrough. I think I know what is going on, so here’s how you avoid this. Normally, the frog floats all about the room. When you save, you and the frog come back exactly as you last saved, position and all. Now, one thing, this frog does not move at all if you are “touching” it. This is probably to prevent it from clipping into your character. So, if you somehow wedge yourself between the wall and the frog, the frog won’t move out of the way because you are touching it. If you THEN save your game, you’re stuck forever. This is why the glitch is so rare. It takes some amount of effort or incredibly poor luck to get yourself stuck that way and then save your game. In other words, only save with this frog when you are out in the open and not when you are against the wall. How to fix this? Not sure, but maybe the frog could be fixed in place instead of floating around, or maybe it could have some invisible walls it can’t “float” past, to prevent it from getting that close to the wall. I guess what I want to stress is that this frog is indeed “safe” to use, if you are just careful about your positioning. This is good considering this room has two hidden boss fights and there’s still a way to go past it to the next save point, so feel free to use it but be careful where you are when you save. Regardless, it’ll be nice to have a “manual fix” of sorts that will at least allow me to use the frog with peace of mind. You can always copy your save into the other slot before entering Thunder Tower. That way, if you do get bugged, at least you don’t lose *everything. * It ain’t great, but it’s probably better than nothing. 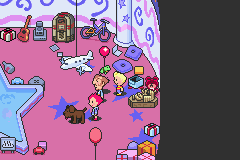 Are there plenty of save slots in Mother 3? It has been awhile I can’t remember the last time I played. I always hated those games that only give you 3 measly slots. I like to save ALL of my old games. @Mato – Assuming DJ’s theory is correct, is this something that you think can fix? It’s possible but I wouldn’t have the first idea how to go about it. All the hacking we did was mainly focused on the text side of things, the game engine itself is mostly undocumented and a big unknown black hole. Ideally, the developers would have “forced” mobile NPCs to walk away from you if you pressed into them for a bit (this is the way some Squaresoft RPGs worked back then, in others the NPC wouldn’t do that, but would at least still randomly decide to move away from you). I’m at a loss as to how to implement this in-game, and it seems so is Mato. Game code can be very tricky to reverse engineer from the hex. Someone would need to find a block of code responsible for NPC movement AI. This same thing happened to me once in EarthBound, in Summers. I saved my game at a payphone in the store where you buy equipment, and a npc was right next to me. 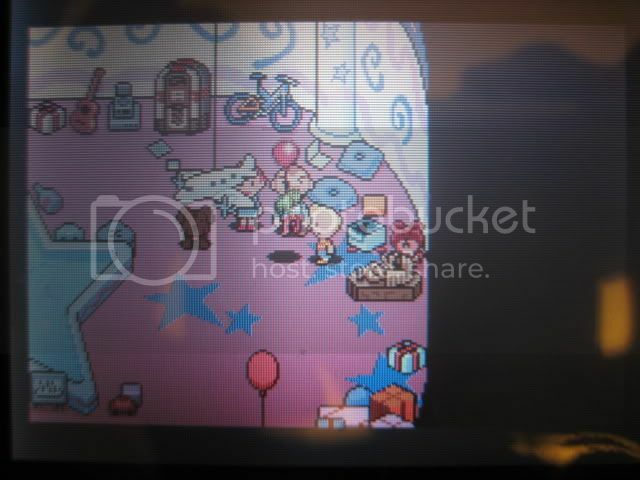 Whenever I loaded my game, the npc lady was stuck next to Ness and I couldn’t move from the spot! Unfortunately i was playing on SNES and not an emulator so I couldn’t rely on save states, so I just stayrrted the game over from the beginning! Arrrgh!